Our client approached us wishing to create a website for their new business Entrenched which would be a more formal design explaining they wanted a professional looking site similar to an accountants or solicitors to represent their brand. We worked with the client to create the logo and the branding for the business as well as the website. The website is fully bespoke, includes many different, unique features and all graphical work was done in-house by our team. Print UK Now wanted a website to sell their printing products online. 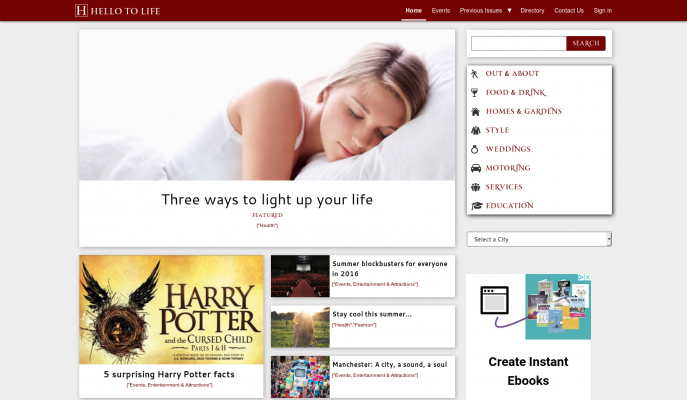 We helped them to setup and host a Wordpress e-commerce website built on the Wordpress CMS. 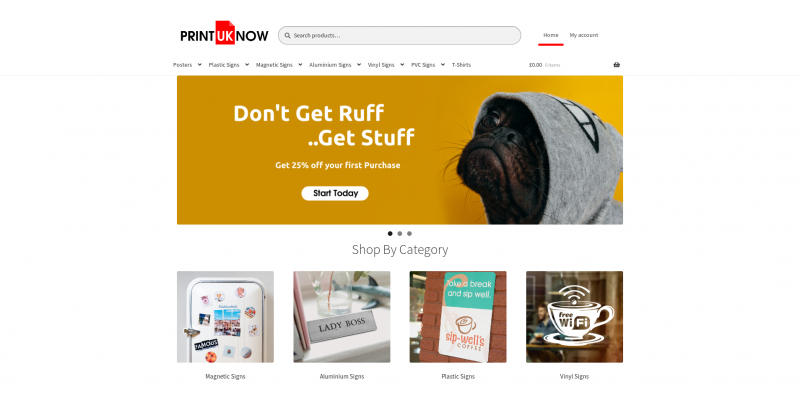 Print UK Now e-commerce was configured and setup by World Web Design with the client doing the rest of the graphics for their products The site is hosted with Twiggled. 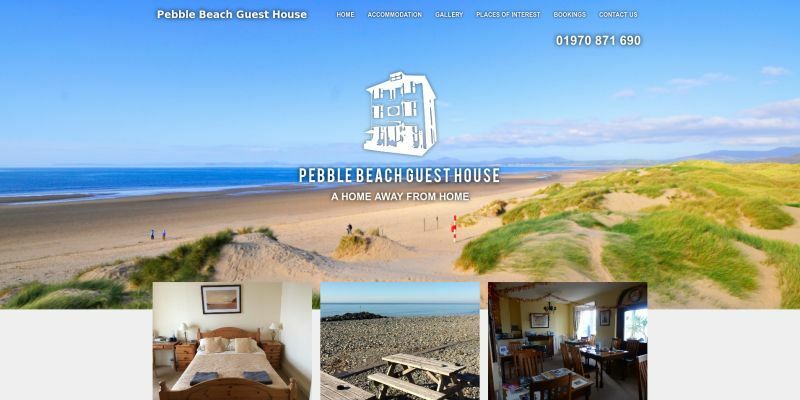 Pebble Beach Guest House is in the beautiful sea side town of Borth. The new owners wanted to have a website created that would help promote and showcase the location and the guest house to potential clients. After many years the clients are still hosting their website with Twiggled and the guest house is a lovely place to stay if you are ever in the area on business or holiday. Pebble Beach was one of the first websites to be fully designed, structured and developed entirely within our Twiggled CMS platform and a great example of our work creating unique websites. 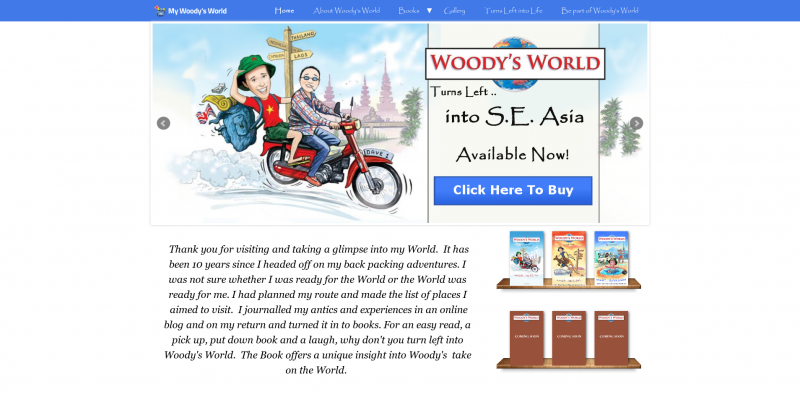 Woody wrote a blog while traveling the world. When he returned he started work turning those blogs into a series of books. To help him promote this he needed a website that would promote him and the books to as wide an audience as possible. A website that reflects his unique personality and the funny stories he talks about from his Journey. You can see by the websites look and feel that it has been designed to match his unique personality and reflect the artwork represented in the books. If you want a great read while travelling then buy the first in the series and you will own them all soon. We originally copied BriteGroup's website from a previous company they were hosting with. After a few years of hosting with us they asked for our help in improving their Marketing. The first thing we advised was to redesign the website and improve the brand. This can be seen in the work we have now done and the SEO work we continue to do for our client. 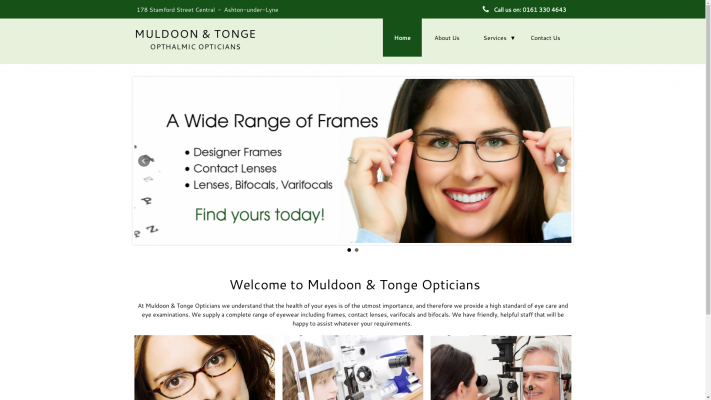 We wanted to be sure to not only improve their brand but also improve their convertion rate online. 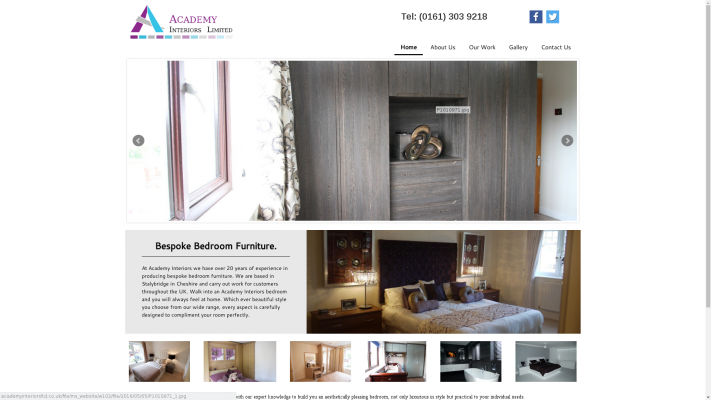 At Academy Interiors we have over 20 years of experience in producing bespoke bedroom furniture. We are based in Stalybridge in Cheshire and carry out work for customers throughout the UK. 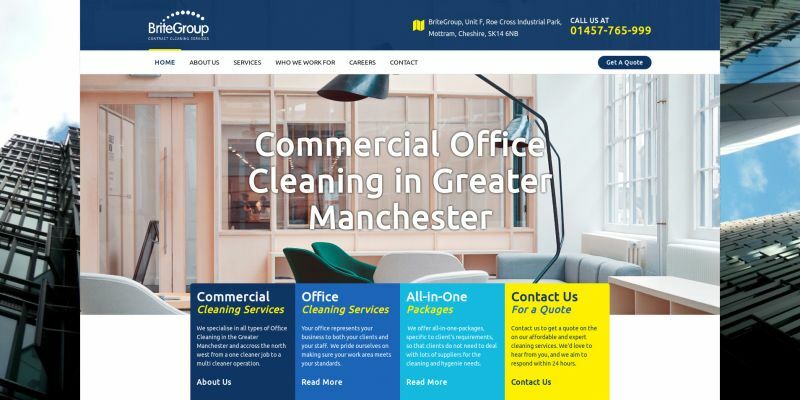 We originally built this website for a client who setup a magazine published in Greater Manchester in the UK. We designed this website to meet the clients article and advertising needs. After they closed with the clients permission we decided to keep the site as an example of some of our great work. 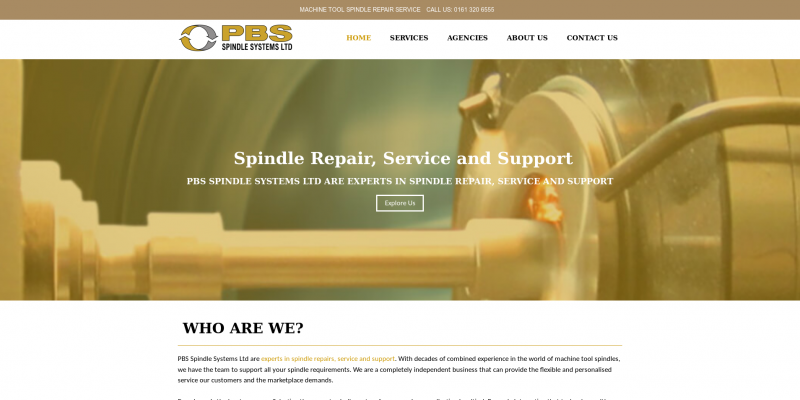 PBS Spindles were referred to us after their Wordpress website had been infected with a malware injection. Once we identified the issue we recommended that the client have the website rebuilt. 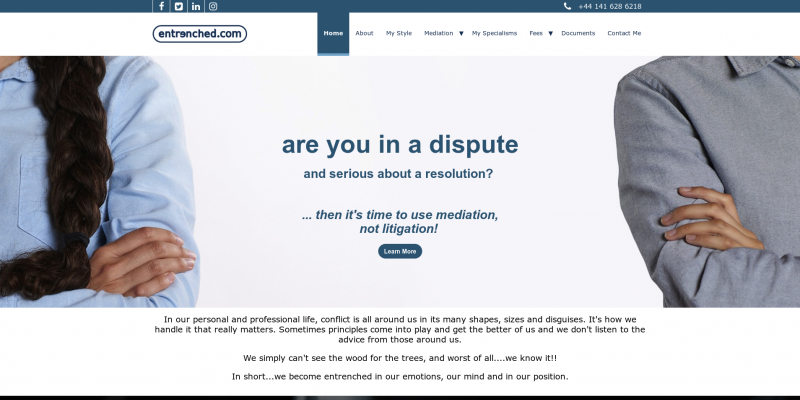 We offered our CMS or for the site to be rebuilt on a new Wordpress install. The client decided on Twiggled CMS. 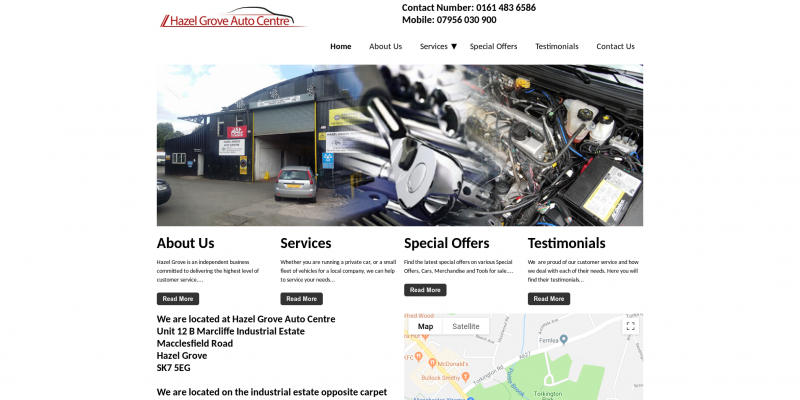 Hazel Grove is a vehicle repair and maintenance centre based in Stockport, Manchester, UK that offers the best value in maintenance, repair, and overhaul for Cars, Motorcycles and Vans. The client wanted a simple website to promote them. Hazel Grove is one of the first websites to be fully designed, structured, edited, developed and implemented entirely within our Twiggled system. This as well as with other sites designed on this platform, is a great example of how our platform can be used to create unique simple websites. Want to work with us? Then call us or click here to contact us. World Web Design is the Trading name of Twiggled Ltd.
World Web Design Create, Design and Manage websites for SME's and large businesses for Greater Manchester, Across the UK and Internationally.